Antionette is a fifty-something frugal fashionista originally from New Rochelle, NY where in the ’70’s, first started thrifing because of finances or lack thereof. Her younger sister, Gloria was employed by Goodwill Industries in Dover until her untimely death in 1992. In her memory and for the general overall support of Goodwill’s mission she continues to donate and shop there regularly. Employed in Corporate America for over 28 years, married 23 and a mother of 2 sons for over 20. A coupon clipping, clearance rack searching divah who enjoys shopping, saving and sharing deals found in and around the state of Delaware. A product influencer, new and small business reviewer and volunteer Blogger and instructor for The Money School of Delaware (dfli). DeDivahDeals – Fashion and Fun after Fifty is a Lifestyle Blog not exclusive to women over the age of 50, so feel free to visit often and share the fun . Antionette is social media junkie and can be contacted via email, and found on Facebook, Twitter, LinkedIn, Sverve, Bloggers, Instagram, Google+ and Pinterest. 35 Responses to "About DeDivahDeals"
Thanks, not a day passes that I don’t think of my lil sis – my angel! Thank you, am checking out your Blog too! Wow, thank you so very much. I do hope you are having a fantabulous weekend! Yes, saving $ is the best!!! After reading your blog. I realize one thing you love your sister a lot and you should. But so sorry she isn’t with you. I can see she is in heaven and very proud of you. Love never dies but we. 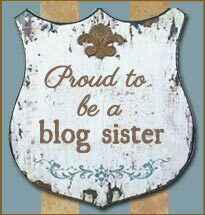 I come to know about your blog through Bloggers.com and I’ve added you in my circle. Please accept my friend request. Thanks. Yes, thank you, she was my best friend and not a day goes by that I don’t of her. I will check out your blog, thanks for commenting on mine. Have an awesome day! You have a lovely family! I’m sorry that you lost your sister. That black and white outfit with the yellow shawl is terrific! Thank you, although it has been 20 years, not a day goes by that I don’t think of and miss her! Thank you for stopping by fellow Hornet! I see you are an alumna of Delaware State as well! I look forward to reading your posts. Yes, class of ’83 – have a fantabulous day! Thank you my dear! Have a wonderful day! Fifty?! You look amazing! Looking forward to getting some tips from you :)! Now following you via email. Thank you my dear, actually 51 (smile). So sweet – thank you so very much! Thanks for visiting at Living and Learning With Our New Normal! You are welcome. Happy Memorial Day! I Just wanted to stop over to say thank you for visiting my post on making a Labor Day Lantern! You’ve got a great blog! I’m from NJ originally too! Have a terrific weekend.. Thank you and thank you for stopping over and taking the time to comment. Are you ready for the last holiday of the season? Hi and yes I”m kind of ready 🙂 I’ve really enjoyed reading through your blog you have a good persona that comes through in your words & posts. I’m fairly new – few months to blogging- & have some bloggy type questions about your buttons/networking groups (sverve, etc) I’m on that as well & endorsed you) I couldn’t find a contact button anywhere on your blog so couldn’t put this mini novel in an email. Would you mind if I asked you a few questions? If not.. plse let me know where your contact button is or catch me at h2obungalow at gmail . Thank you so very much in advance! Yes, you are absolutely right – my email button is missing….I am having a blog makeover on the 12th so I will make sure it’s returned to it’s rightful place (lol). I truly appreciate your comments and glad that you have joined the Blogosphere, my email address is ablake48@gmail.com. Shoot me an email and I’ll be glad to assist in any way. Have a fantastic evening. Thank you! Congratulations on receiving it and passing along the nomination. Have a wonderful weekend! You too! Last weekend of summer. Me too, it was so much fun and I too am a lazy cook!! !